Vengeance – The official Johnnie To-related film of the festival was directed by the man himself. It’s possibly the most explicit homage to Jean-Pierre Melville’s gangster films yet to come out of Milky Way Studios. 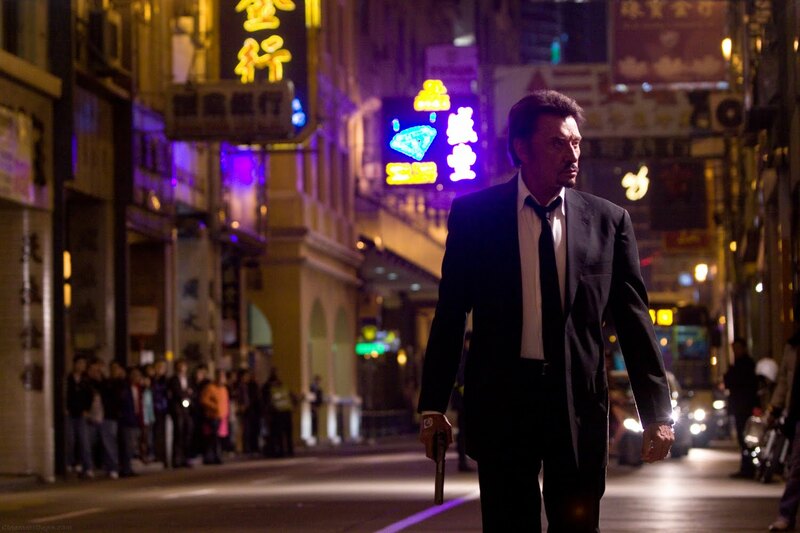 The main character is a old French guy (played by “the French Elvis”, Johnny Hallyday) seeking revenge for the brutal assassination of his daughter, grandchildren and son-in-law, who had fallen afoul of Macao triads. He hires the old To crew (Anthony Wong, Lam Suet and Gordon Lam, who play similar roles in Exiled and The Mission, which constitute a kind of trilogy with this film) to help carry out his revenge. The mind-blowing twist (de rigueur in recent Milky Way films like Written By and Mad Detective) is that Hallyday suffers from a Memento-like inability to form new memories. So he wants revenge, but he can’t remember why! Unfortunately, unlike in those other Milky Way films, the conceit never really develops beyond the pithy metaphor stage (vengeance is ultimately meaningless etc). The film’s quality, instead, rests on the character relationships and the performances of the actors, all of which are exceptional. And of course, To’s direction, which is less flashy than at times in his past, more in keeping with Sparrow, his last film as a director, but still shiny and sleek. The #12 film of 2009. I Am Love – Tilda Swinton stars as a rich housewife who’s surprised to learn she’s not all that happy with her life in this melodrama from Italian director Luca Guadagnino. It’s big and lush and beautiful and skirts the fine line between deliriously wonderful and over-the-top silliness that all the best melodramas have to navigate. Swinton is as awesome as she always is and the score is entirely made up of bits of John Adams works(!) The #19 film of 2009. Bodyguards & Assassins – Another historical epic from China, in the manner of John Woo’s Red Cliff, set in the early 20th Century as Sun Yat-sen arrives in Hong Kong to plan the overthrow of the Qing Dynasty and has to be protected from the titular assassins by the titular bodyguards. It’s classical filmmaking in the Seven Samurai mode, as the first half lays the groundwork for an impressive, extended action sequence that accounts for most of the second half of the film. 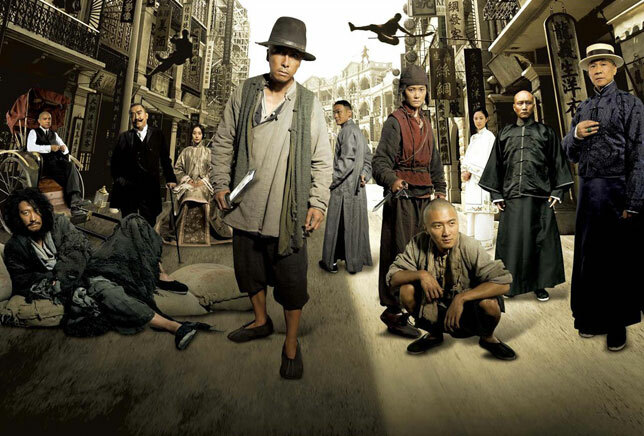 It stars the great Donnie Yen and Leon Lai and Simon Yam and the other Tony Leung. The #22 film of 2009. Senso – One of SFIFF’s archival presentations was this restoration of Luchino Visconti’s melodrama set in the mid-19th Century during Venice’s war against Austria. 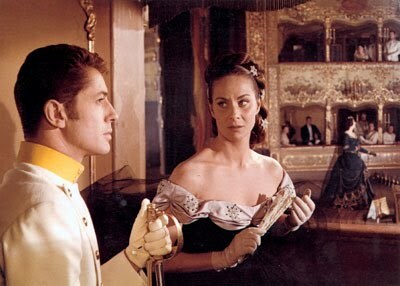 Alida Valli (from The Third Man) plays a Venetian countess who has an affair with Austrian soldier Farley Granger (Rope, They Lived By Night) that has disastrous consequences for both herself and her country. It’s all quite glorious and the restoration looked pretty great, especially on the giant screen at the Castro Theatre. The #13 film of 1954. 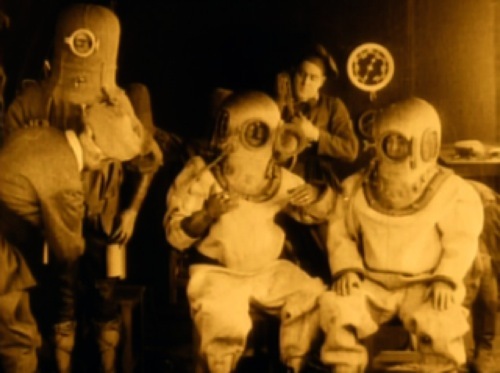 20,000 Leagues Under the Sea – Stephin Merritt (the genius behind The Magnetic Fields and several other musical groups) composed and performed a new score to the silent version of HG WellsJules Verne’s sci-fi classic. The movie itself, made in 1916 by Stuart Paton, is not without interest. It boasts of its innovative underwater filming techniques, the veracity of which claim I’m not capable of confirming (though it looked to me like they just filmed an aquarium). The plot follows the crazy Captain Nemo, who’s invented a submarine and rescues some people from a shipwreck and takes them to a mysterious island. Adventure ensues. It bears only a passing resemblance to the Disney film with Kirk Douglas, Peter Lorre and James Mason, having more in common with Mysterious Island, a film notable for Ray Harryhausen’s effects creating such terrifying animals as a giant chicken. (Note: there are no giant chickens in the silent film version). Anyway, the draw was the score, performed live by Merritt and some of his pals (including organist David Hegarty and Lemony Snicket). It wasn’t your typical silent film score, with the musicians occasionally adding dialogue to the action (some of which is very funny, but never really in a derisive MST3K kind of way), and including a pop song or two. The #2 film of 1916.